This bulletin reproduces the 15 color photocopies that comprise Swiss artists Peter Fischli & David Weiss’s Ordnung und Reinlichkeit (Order and Cleanliness). 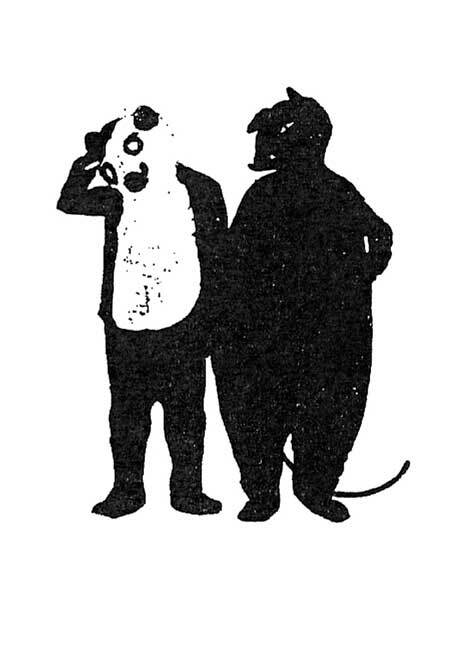 The diagrams were drawn around the same time as their earliest film Der geringste Widerstand (The Least Resistance, 1981), in which the artists walk through Los Angeles dressed as a rat and a bear. The original Ordnung und Reinlichkeit was a self-produced booklet, also made in 1981 and on sale following the first showing of Der geringste Widerstand at a late-night screening in a Zurich theater. Two years later in Der rechte Weg (The Right Way, 1983), the same rat and bear traverse the Swiss alps.